I’ve been curious whether screen printing would work on burlap. I decided to give it a try with a few items I found at Hobby Lobby. 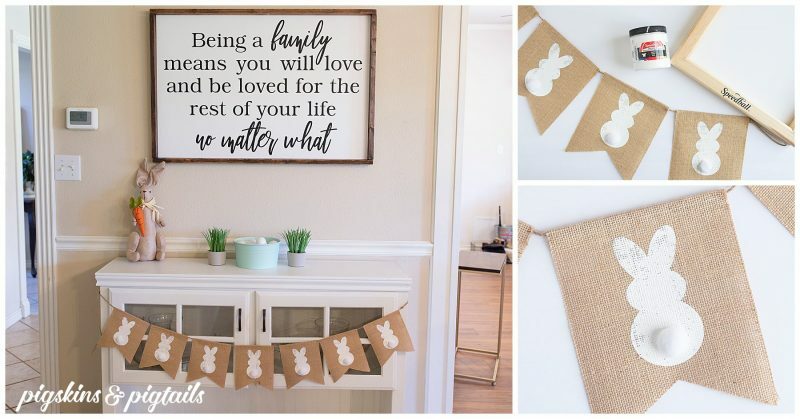 I purchased a pre-made burlap banner and 4-count place mats. You can get a similar banner on Amazon for less. You can also find the placemats on Amazon here. I’m excited to report that it works! I love that with a thin coat of paint, you can get a rustic, worn look. You can also use a little more ink (less pressure on the squeegee) to get a more solid color. This would be a great DIY wedding project. You could add your monogram to burlap centerpieces or make a banner for the gifts table. There are so many options! 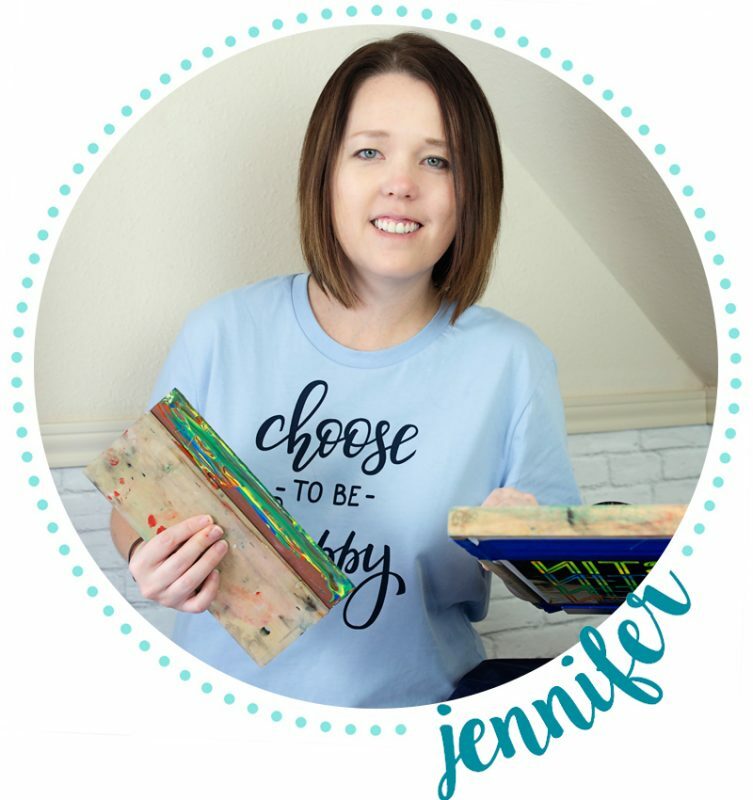 Whatever you create with your vinyl cutter, you can screen print onto vinyl! 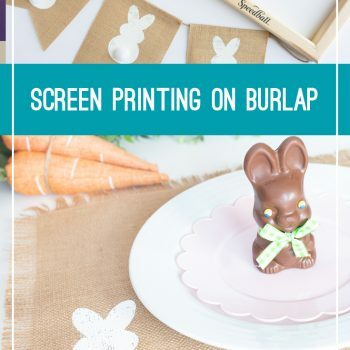 Want to learn how to screen print with your Cricut or Silhouette? Here’s a great place to start to learn all about screen printing with craft vinyl. Also, this week, I used this adorable free cut file from Happy Go Lucky to screen print 2 t-shirts and a pillow….all with one vinyl cut! With screen printing and my vinyl cutter, I only had to weed this design one time. Once it is on my Speedball screen, I can make as many prints as I need. For this design, I made 2 shirts and a pillow for our entryway.